Ruswa, Mirza Mohammad Hadi. Umrāʾo Jān Adā. 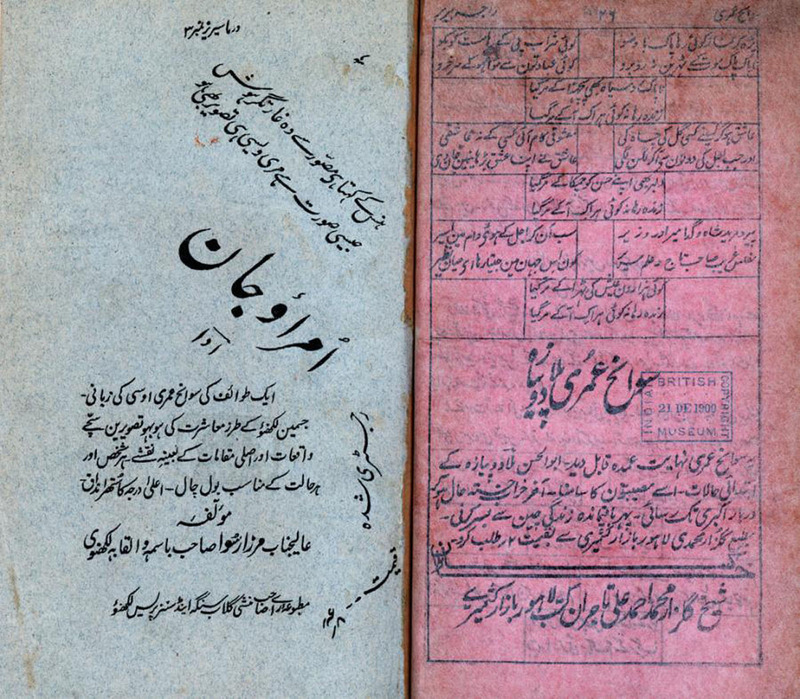 — Lakhnaʾū : Munshi Gulab Singh aind sanz Pres,  — , 188 p.
Reproduced online by permission of the British Library. View additional information about this title.